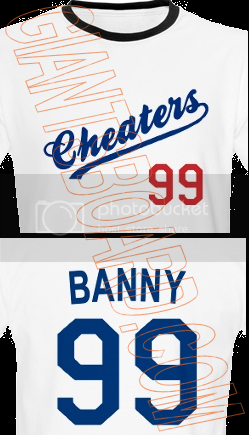 It was a night of celebration for San Francisco Giants fans…. everyone texting, phoning, and emailing each other in anticipation of the Giants first World Championship in San Francisco…..but as excited as we all are…..just something to remember…the Last Time the Giants were up 3-1 in the World Series….umm…errr….well..] It was 1933 and Carl Hubbell just Finished pitching an 11 inning complete game in a Series the Giants would win….well, that doesn't really illustrate my point….my point is, as Giants Fans we all know it ain't over until its over and no game is as important as the next game…..so yes, be happy and enjoy the moment, but until that last out is made you keep the pressure on…..and DESPITE having tickets in hand for Games 6 and 7…..I hope the Giants finish this thing off tomorrow and those tickets remain unused oddball keepsake of games never played…..
Man, what they heck can you say about this kid….his crossfire slingshot 94mph hitting the inside corner to righthanders…..his offspeed pitches on the outside breaking down hitters…..his awshucks demeanor with the press….Electric Stuff and Cool Head….and the kid was just straight up Money tonight going 8 strong and dominating the vaunted Rangers offense in their own backyard……all at the tender age of 21……I mean what were YOU doing when you were 21?....hell what was Timmy, Matty, and Sanchez doing when THEY were 21……hell, even ]Mozart was a late bloomer compared to Madison……Ahhh to be Young, Talented, and on the Verge of a Championship……. Hitless on the night, and failed to advance Torres from second twice with no one out….but that didn't matter tonight, as Sanchez was the man with leather tonight, with great play after play … a snag and turn on a Hamilton hot shot….a vertical leap and snag on a Francoeur liner….and shot hop and tag on Hamilton's Stolen Base Attempt…..a catch on the deflected ball and tag on Hamiltons grounder…..and then starting a DP with a quick feed on the 6th…..man, Freddy was about as game changing as you can get from an infielder on defense……. Was all over the bases tonight, single and a Stolen Base…..and a pair of Doubles, including driving home the 3rd run of the night……Andres has found his stroke again just in time for the series, and it sure is a beautiful thing…..
Hit a ! @#$ Titleist Golf Ball to Center Field and that thing just carried……but the most BEAUTIFUL DEFENSIVE PLAY I have seen in a while is the SEED it throws to Second to a Sanchez Shorthop tag on Hamitlon….I swear I have been watching that thing over and over, and am just sit there in disbelief…..man, that is ! @#$ BADASS……. 3 hit night for the Kid, and 2 of those were truly blistered……and solid D in the field…..never seen Rent play this well in a Giants uniform for this long….. Took at 0 For, and did blow an exchange on a grounder……but he has been SOLID at 3rd and since Bochy has been running him out there, he has looked more and more comfortable…. 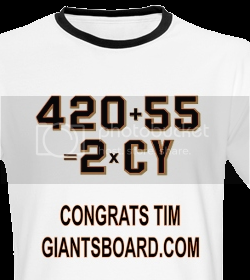 For representing Giantsboard deep in the heart of Texas…..and for giving me the Vlad line I will use in a moment…..
Man, Vlad is piling onto the Brian Sabean redemption tour with his play in Right Field added to his embarrassment at the plate……not looking like a quarter of the Player he was in Montreal…..sure, we wanted him back in 2004 and that Angels contract expired last year…..but just hearing his name makes you think of that whole lunatic fringe quote and the ! @#$ Sabean took over the years….but enough about that……I;m going on my Tivo and watching Vlad crack a ]hamate bone trying to check swing on a change up one more time before bed……just ! @#$ awesome……. Looks like Sidney Ponson, sweats like Tyler Walker, gets beat like a Drum…..
Yah those kids in Texas are straight up morons. I would guess a rabid rich Giants fan would pay up the nose for that ball if they won the World Series! Put that up for auction and make yourself 20k-30k YOUNG MAN! And only once at home all season. And nice write up Merk, as always. Don't give up on the 1933 analogy. It's been pretty good up to now. That team was pitching rich and beat a favored team that shouldn't have been favored. And its game 5 was very tense (in the opponent's park), decided by an extra innings Mel Ott HR originally not ruled a HR. So a little something to think about when (as usually happens) we come to a point in tonight's game when people get a little bit nervous. Haven't there only been four WS games so far this year? That would be 2-in-4, or 50%. Looks like someone was (1) looking ahead and (2) conceding that Timmy won't get the shutout tonight.